2017 Total Solar Eclipse #infographic ~ Visualistan '+g+"
Look out! The astronomical event of the year is coming August 21, 2017. This will be the first total solar eclipse in the continental U.S. in 38 years, and you’ll have to wait until 2024 for another one. 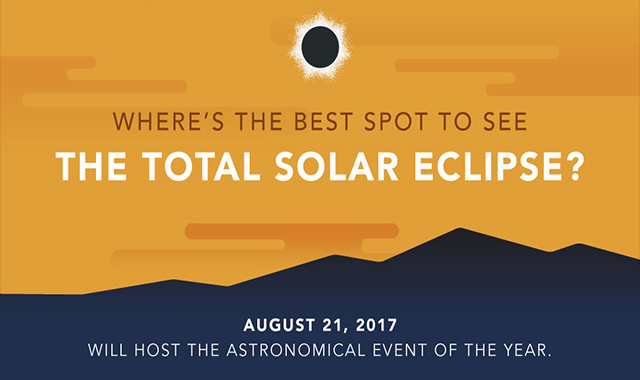 Check out this sweet infographic we made to learn more about the eclipse and the best spots to watch it happen.